Here we thought our readers had discovered some new gem in the Thousand Oaks hinterlands. Instead, we got the Gypsy Café. Let’s suspend our disbelief and assume that Gypsy came by these titles honestly, and not via bot-bombing. 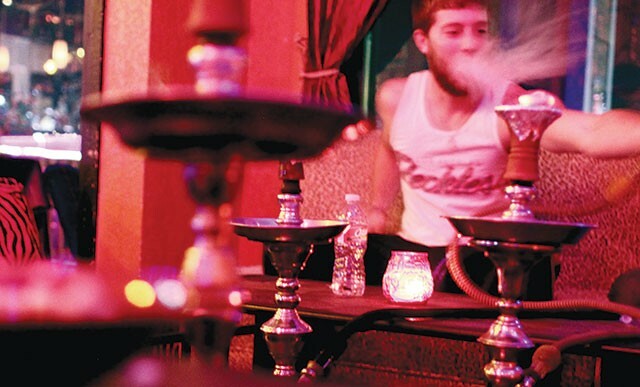 They do, in fact, stay open late and offer hookahs, but based on our experience, we can’t recommend the Mediterranean food — the writer we dispatched to Gypsy called the falafel “little blobs of salty, super deep-fried unpleasantness,” and compared the hummus and pita to spackling paste and cardboard, respectively. Also, unless your idea of a good lounge crowd is a lone table of cologne-doused 18-year-olds giggling, blowing smoke rings, and cracking gay jokes (really?! ), we advise you look elsewhere for evening socializing.